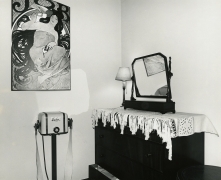 Joseph Bellows Gallery is pleased to announce its upcoming exhibition, Arnold Kramer: Domestic Scenes. 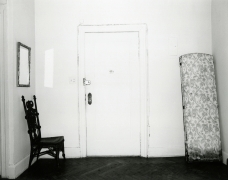 This solo exhibition will present a series a small scale vintage gelatin silver prints from Kramer's celebrated body of work, Interior Views. 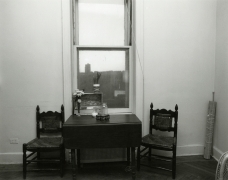 The exhibition re-evaluates Kramer's photographs with the inclusion of many recently discovered views from the artist's archive, after his death in 2017. 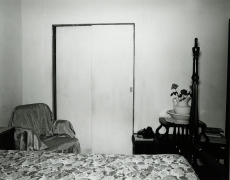 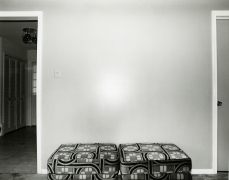 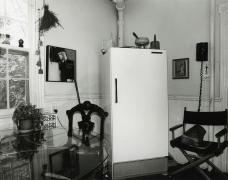 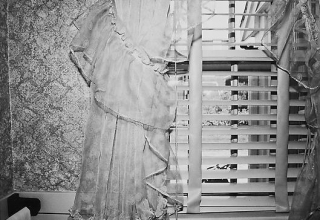 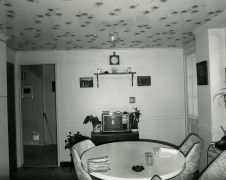 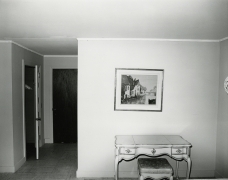 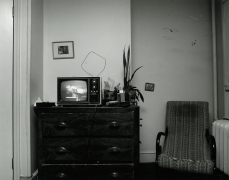 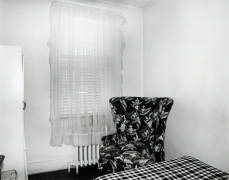 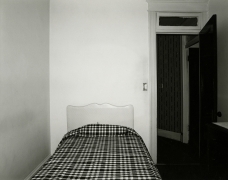 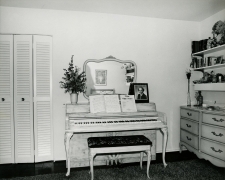 These black and white photographs, with their sharp eye for the pattern and details of domestic settings, established Kramer as a distinct talent whose avoidance of “romantic bombast” and “emphasis on formal clarity,” made his pictures particularly fresh, when they were exhibited by Jane Livingston at the Corcoran Gallery of Art in 1978. 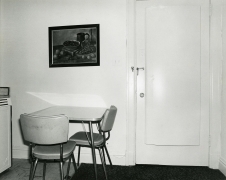 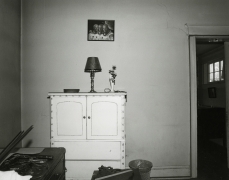 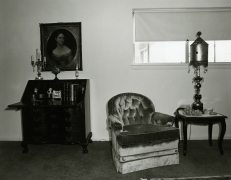 In their emphasis on emotionally restrained, frontal views of rooms they look back and reference the work of Walker Evans, especially Evans' Message From the Interior. 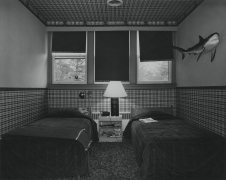 In their attention to pattern and line as visual motifs within everyday spaces, he reveals his bond with another 20th century photographic master, his mentor Minor White. 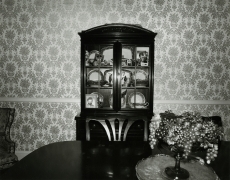 Kramer has a unique way of creating a three dimensional scene within the sheet of a two dimensional photographic paper: In his photographs of rooms, objects and patterns that can appear to look haphazard and random are flattened out and pieced together to create a marvelous kind of collage effect. 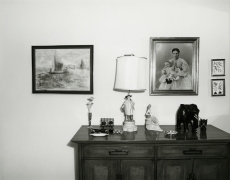 “I try to strike a balance between commitment to craft and commitment to seeing,” Kramer once explained.